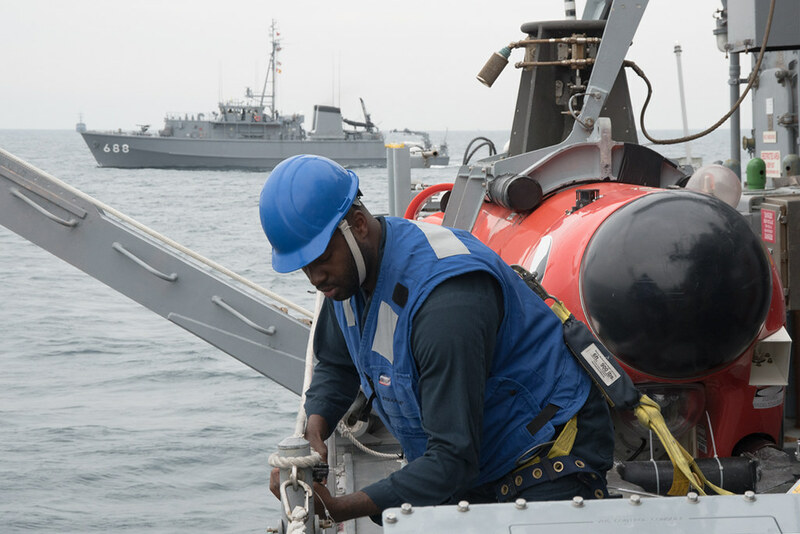 SASEBO, Japan - The mine countermeasures ship USS Chief (MCM 14) participated in Mine Warfare Exercise 3JA 2018, Nov. 24-27. "These opportunities to train with our partners demonstrate the commitment we have to maintain peace and stability throughout the region,” said Lt. Cmdr. Fred Crayton, commanding officer of Chief. During the exercise Sailors aboard Chief operated sonar to detect dummy mines placed throughout a location. “Each year 3JA gets better because we are able to bring forth valuable lessons learned and develop relevant mine warfare scenarios," said Crayton. Chief is part of Mine Countermeasures Squadron 7, which serves as a ready response force for mine warfare operations throughout the Indo-Pacific region.